Join author Susan Angel Miller for a discussion, moderated by former Wisconsin Public Radio host Ben Merens, about grief and empathy, post-traumatic growth, and the miracle of organ donation. Her book Permission to Thrive speaks to anyone who fears when that next bad event will occur and wonders how they will respond. 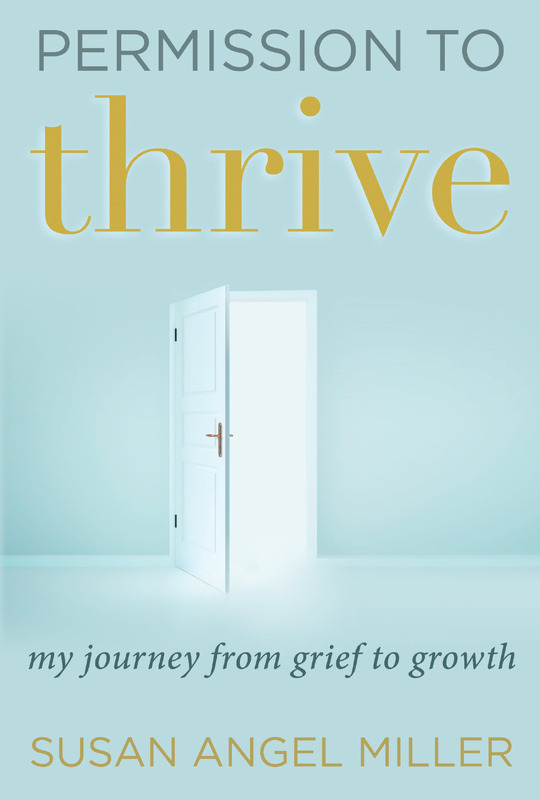 This memoir reveals the human ability to grieve, survive, and eventually thrive. Books will be available for purchase and signing during the event. Susan Angel Miller is a career volunteer who has held leadership positions at the National Council of Jewish Women–Milwaukee Section, the Harry & Rose Samson Family Jewish Community Center, and the Milwaukee Jewish Federation. She works with other Milwaukee nonprofits such as HIPPY (Home Instruction for Parents of Preschool Youngsters), the Wisconsin Donor Network (part of the Versiti Network), and SODA (Student Organ Donation Advocates). Susan participates in an annual memorial walk in honor of her daughter Laura, and she raises contributions for the Laura Miller Fund at the Jewish Community Foundation. She also leads presentations on post-traumatic growth, personal relationship building skills, and organ donor advocacy. Susan received her undergraduate degree in political science from the University of Michigan and her MBA from Loyola University in Chicago. She began her career as a marketing consultant to community banks before devoting her skills full-time to nonprofit work, including strategic planning, community outreach, and mentoring projects. She is married to her exceptionally supportive and resilient husband Ron; they are the proud parents of Sara, Rachel, and their forever-beloved Laura.